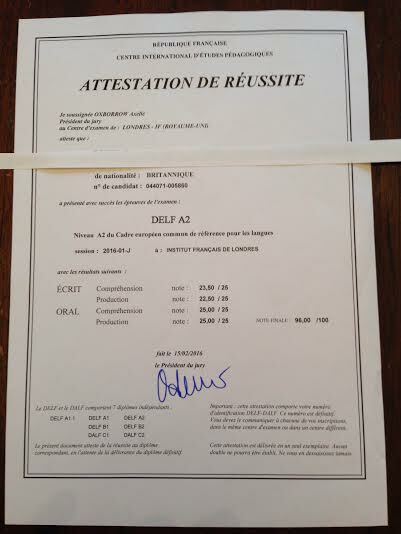 Congratulations to our Mosaic Languages student Anna D., 12 year-old who passed the DELF A2 exam with 94%!!!!! 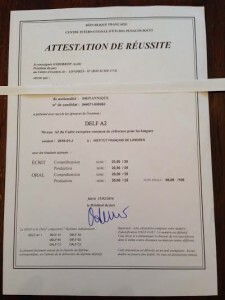 These are internationally recognised exams awarded by the French Ministry of Education to prove the French-language skills of non-French candidates. The DELF (“Diplôme d’Etudes en Langue Française”) and DALF (“Diplôme Approfondi de Langue Française”) consists of 6 diplomas independent from each other. They correspond to the 6 levels of the Council of Europe’ s Common European Framework of References for languages (CEFRL).